This is the key, friends. So the cookies burned. The gifts aren’t wrapped. The turkey’s still frozen. The trip to the Christmas tree farm isn’t going to happen. The Christmas card photos didn’t turn out quite like you hoped. Are your kids happy? How’s your attitude towards your family, co-workers, spouse? What does your heart look like these potentially busy days? These are the things that matter. I know you know and live that, but sometimes it’s helpful to hear again. Decline that millionth invitation, even if it’s a fun one. Skip the cookie baking and grab a dozen pre-cut + pre-made icing at the grocery. Find the candle, the music , the verse that calms your heart and rock it – don’t save it until you’re falling apart. Light it now, listen to it now, read it and hold it close now. Ditch the crazy event or the shopping and go on a family walk instead. Use your slow-cooker to keep dinner simple. Do what YOU need to do to enjoy this season in its entirety – from falling leaves to falling snow. Let it go, friends, and let your heart be light. 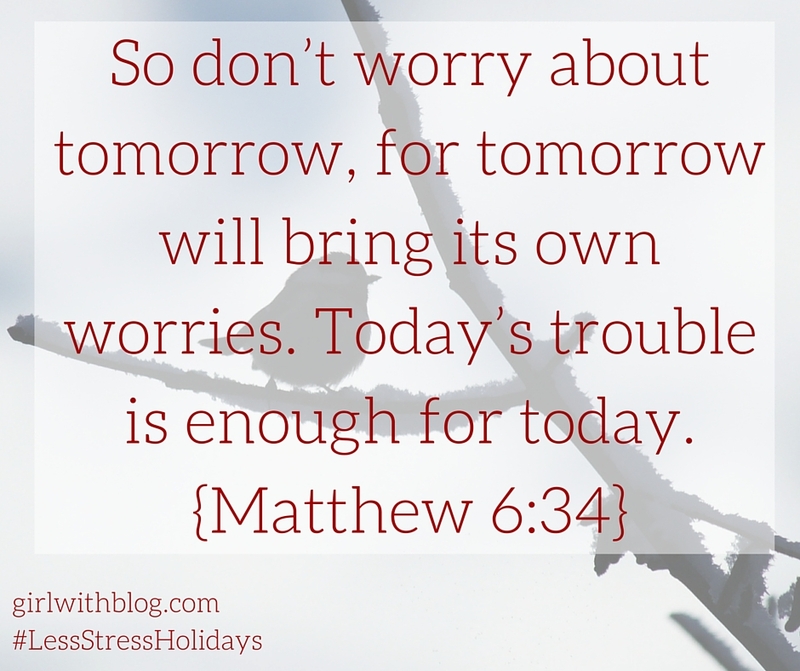 Can all your worries add a single moment to your life [to your holidays?] #LessStressHolidays <– tweet this! Let it go, friends, and let your heart be light. 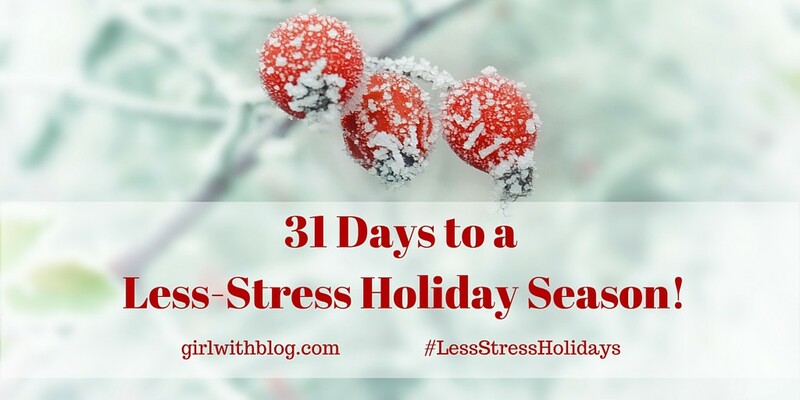 #LessStressHolidays <– tweet this!